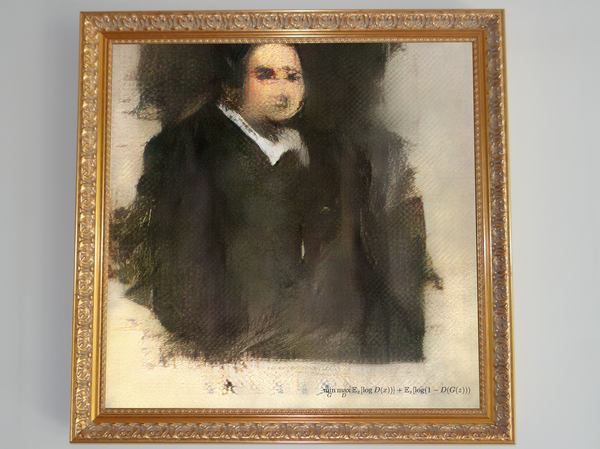 A Paris-based art collective has been using artificial intelligence to make a series of "paintings" since last year. Each image is printed on canvas with inkjet then "framed and signed with the math formula" used to create it in the lower right corner. They use Generative Adversarial Networks, algorithms composed of two competing parts that teach themselves through trial and error, as opposed to being programmed by humans. "We fed the system with a data set of 15,000 portraits painted between the 14th century to the 20th." 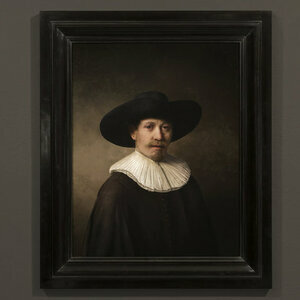 The auction price is estimated at $7,000 to $10,000.